Dental visits should occur around every six months, but patients sometimes need to see a dentist beyond their typical cleaning. Restorative dentistry is the diagnosis, treatment, and prevention of oral health problems that can cause a patient discomfort. It can include the treatment of gum disease, yellowing or decaying teeth, implants, crowns, or bridges, and more. Restorative dentistry is often confused with cosmetic dentistry, but there are differences between the two. Cosmetic dentistry is a type of restorative dentistry, is much more of an art, and is only concerned with how the tooth looks. Restorative dentistry focuses on the overall wellness of the tooth, not just its appearance. Both types of dentistry require years of extensive studies and training. 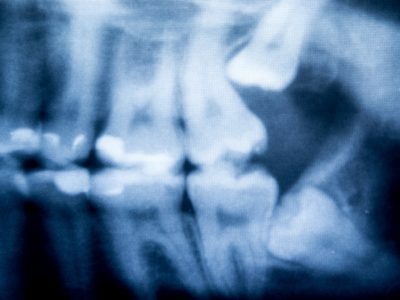 Any area of concern requiring restorative dentistry will usually be discovered during a regular teeth cleaning through mechanical or radiographic means that analyze the surface of the teeth. Some types of restorative dentistry treatments are minimally invasive and can be solved in a single visit, but others will require a follow up visit or multiple visits to the dentist. Your dentist may recommend a plan to restore chipped or cracked teeth, discolored teeth, or even missing teeth. The four most common types of materials used in restorative dentistry are porcelain, dental amalgam, composite resin, and gold. Composite resin is composed of ceramic or plastic compounds combined with other materials, such as glass ionomer. Amalgam, gold and other precious or semi-precious metals used to be the material of choice, many dentists are now using dental porcelain or composite resin because it most closely matches the look of real teeth. Dental fillings are used to close gaps in the teeth from a cavity, crack, or chip to protect the tooth. Fillings often use amalgam or composite to restore the tooth and are usually placed on teeth in the back of the mouth. Amalgam fillings are made of alloy, silver, tin, or copper, and typically only appear in molars due to their unnatural silver appearance. Composite fillings are used on both the front and back teeth because they are difficult to distinguish from natural teeth. Veneers are a layer of material, usually porcelain or composite, placed over the tooth to improve the aesthetics of a smile. Many people use veneers if they have dull or discolored teeth, gaps, or desire a different tooth shape. Veneers are bonded to the surface of the teeth and are a permanent solution. Crowns are a type of restorative dentistry that cover the entire portion of the tooth. Crowns are most often used on teeth that have been damaged, chipped, or cracked, but they are also commonly used atop dental implants. Bridges, on the other hand, are a prosthetic replacement for two or more teeth. Our teeth wear down over time, and proper restorative dentistry is necessary to keep our teeth as healthy as possible. As one of the most trusted, capable dental practices in upstate New York and beyond, Dansville Dental Professionals is committed to making a difference in your life and your loved ones through restorative dentistry and beyond. Contact us to set up an appointment today.